Your first step is to acquire a virtualisation system for your desktop machine. We’ll be concentrating on VirtualBox, a free and open source virtualisation system for Windows, Mac, and Linux — you can grab it for free from the VirtualBox website. Those of you who have shelled out for another application, like VMWare Fusion or Parallels, never fear — you can still set up these VMs in the system you already have, but you’ll need to consult your product’s documentation for how to do this. In the article, Louis shows us how to set up port forwarding with an XML configuration file. 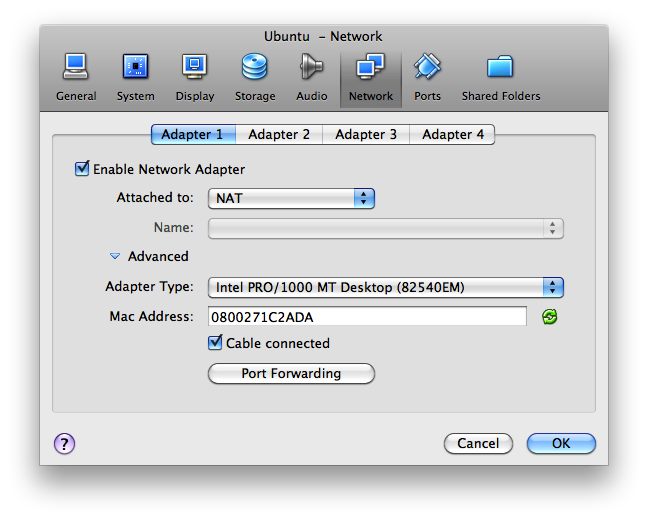 In the latest version of VirtualBox, you can now also set up port forwarding in the VM’s Network Adapter settings panel. You can see these settings in figures 1 and 2, below. Doing so ensures that Apache, MySQL, PHP, and the OpenSSH packages are downloaded and installed from the outset. This process takes a while, and you’ll need to set a few passwords and answer quite a few prompts — go brew up some tea or coffee, and pay close attention to every question, especially the ones that ask you for a password. If you followed Louis’ instructions to the letter, and if all went well, you should now have a working Linux web server. Test this out by opening a web browser and heading over to http://localhost:8888. If you see a page that exclaims “It works!”, you’re on the right track. 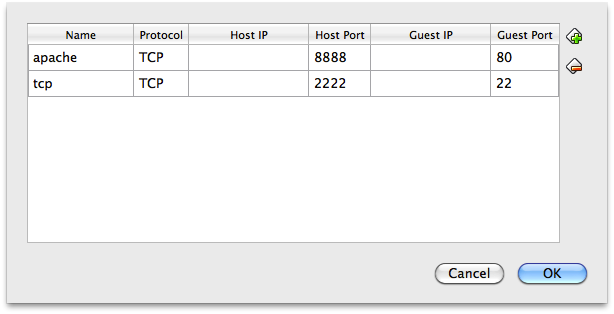 In your VM window, you should also be greeted by a login prompt. Log in now, using the admin username and password you chose when you installed Ubuntu. Easy! 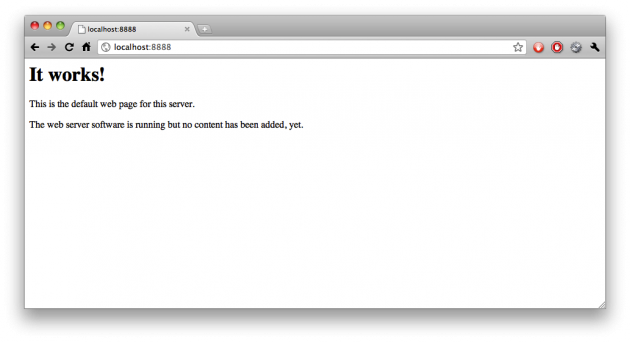 You can now start installing WordPress using the web-based installer — head on over to http://localhost:8888 again and follow the instructions from the WordPress Codex. If you’re less confident with the command line, or if you’d prefer a simpler and faster installation process, a pre-packaged VM appliance might be the solution for you. A VM appliance is a virtual machine file that’s already been installed and configured, with little or no need for adjustments on your part. WordPress’ Codex suggests two appliances: BitNami’s WordPress VM, and TurnKey Linux’s WordPress Appliance. The TurnKey Linux VM is the most user-friendly, particularly for less confident Linux users, and it’s the one we’ll use for this example. First of all, you’ll need to grab the appliance. TurnKey provides appliances in a number of different formats, one of which is the Open Virtualisation Format, or OVF. This is a common format for appliances, and bundles up all the software a VM needs in one easy-to-digest package. Look for the OVF link in the download bar, near the top of the TurnKey WordPress page. 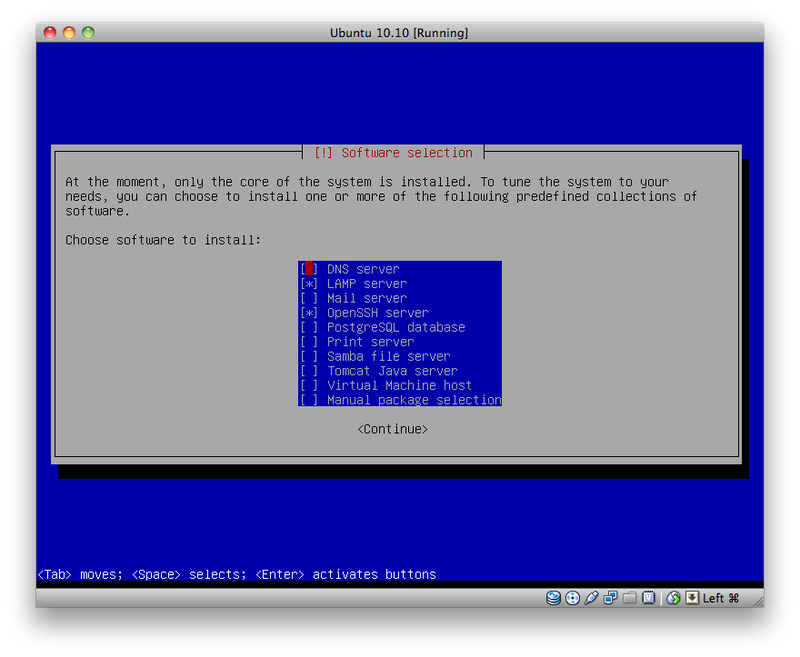 Once you have that file, simply open it in VirtualBox — you’ll be asked to confirm the settings inside it. There should be little need to play with anything you find here, except perhaps the name of the virtual machine (vm is the default — a little generic, right?). VirtualBox will import the file and convert it into a virtual machine; when it’s complete, you’ll see it appear in the left of your VirtualBox window. Be sure to make a note of these passwords. You’ll also be asked to set up the TurnKey cloud backup service, daily security checks, and whether you’d like to update your machine right away. It’s fine to skip the TurnKey backup setup for the time being (you can always enable it later), but it’s definitely important to set up your security updates now. It’ll take a few minutes, so grab a cup of tea or coffee while your machine does its thing. When it’s finished, you’ll see the TurnKey configuration console, which tells you everything you need to know to reach your website and to administer it — check it out in the figure below. Your WordPress blog is installed and ready for action at the address specified under “Web”, and you can administer your new server’s other goodies using the command line or the easy Webmin interface. Double-check now that you can log in to your system and that the WordPress site is definitely installed. Since your appliance may have originally been created days or even weeks ago, you may find that you need to update some of your plugins, or even WordPress itself. Once you’ve done that, though, you’re ready to rumble! Now that you’re up and running, you’re ready to fill your blog with interesting test content and start hacking on your plugins or themes. As with most things WordPress, the Codex is your best friend when it comes to tips, tricks, and troubleshooting advice — start with the Server and Database heading on the Advanced Topics page for some great information on what’s going on under the hood there. Don’t forget about the WordPress, Hosting and Apache sections of our forums, too!